With a variety of website platforms to choose from, it is easy to understand why many entrepreneurs wind up confused. Often people believe WordPress is solely for blogging. While it is an excellent blog platform, WordPress can also be used to create beautiful and unique websites. According to Forbes, 1 in 6 websites around the world are powered by WordPress. Consider 10 top reasons why you should choose a WordPress site over any other platform. WordPress is a simple platform almost everyone can understand. Certain platforms are complicated and require the type of advanced knowledge only a web designer possesses. This means you need to contact your website designer about the most basic updates and changes. It can cost thousands of dollars to build and maintain a website. 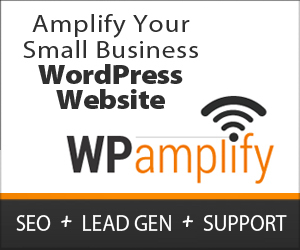 WordPress is a budget-conscious option that gives you greater control over website maintenance. For a fraction of the cost, you can hire a pro to take care of SEO as well as lead generation and taking care of periodic site updates. Life moves fast and you need to keep up with your website on-the-go. You can access a WordPress site from any computer or device with Internet access. Even if you are halfway across the globe, you have the ability to add content and nobody will know you’re gone. No specialized software is required to make changes anytime you decide you want to update your site. Everyone is looking for better ways to manage their time. You can write a series of posts for a WordPress site in one day and then publish them on the site whenever you choose. For example, you may want to post a series of five articles about a certain aspect of your field. Each week, an article can be automatically scheduled to post to the site and you never have to lift a finger. Besides being able to post content whenever and wherever you want, a WordPress site makes it possible to add all types of media to complement your articles. Include audio to better explain your point or include an important interview with a key person in your field. Add a video that enhances your content. Post photos that help to explain your descriptions. It is easy to add all types of media to your WordPress website without worrying about complicated coding. Harnessing the power of social media helps you spread the word about your online enterprise. You can quickly add sharing buttons to your WordPress content to encourage visitors to share it with others on social media such as Facebook and Twitter. Your blog posts can also be automatically integrated with popular social media to let everyone know about them. WordPress sites are excellent for SEO purposes. Consistent coding makes WordPress sites quite appealing for Google indexing. While the coding might be consistent, there are many ways to customize each page of your website. This makes it even more likely for your website pages and posts to rank well on search engine results related to your type of business. When you have seasoned pros working with you to setup a WordPress site, your blog can make hackers feel powerless. One of the greatest fears entrepreneurs have is hackers breaking into their sites. Despite the fact WordPress uses plugins, there is a process to ward off hackers and ensure they don’t get to your important data. This is rarely the case with websites built on other platforms. A WordPress site makes it easy to interact with people who make blog comments. You can setup the site to automatically accept comments or to not allow comments at all. You can also set it up so that you have to approve all comments. This makes it possible to get rid of spam comments and post useful comments that relate to your post. You can respond to comments and encourage people to interact with you on your WordPress site. These on-point discussions can even help to boost your website ranking. While Google remains the ultimate authority, other search engines are major power players. A WordPress site ensures listing anytime of the day or night in Bing when you add the RSS feed to Bing/MSN. Your site can be found at Bing within a day. You can also manually add search engines such as Yahoo to get your site indexed without paying hefty fees. WordPress is constantly offering updated themes. Some are available for free and others are accessible for a nominal fee. You can revamp your website anytime using these dynamic themes. Without breaking the bank, your website can get a whole new look.